Your shop is built as part of your website and the product pages are constructed with modules just as the pages on your website. The only difference is that the shop modules retrieve content from the shop database. Look below to find a few examples on how you can create different pages in your shop. See some examples on shop modules below and find examples on different page templates in the submenus of this section. In the top image you can see the mono tool interface when building a shop. You can see that there are four different shop modules available. The shown example shows features the catalogue module. 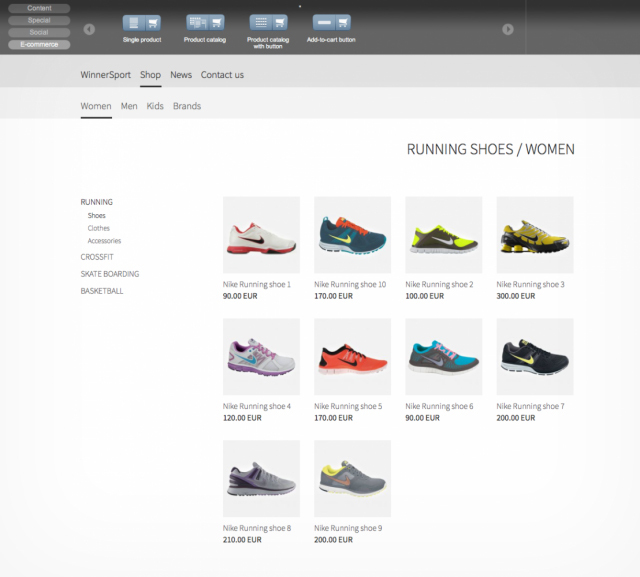 On the live site, when a user clicks one of the products in the catalogue module the module changes to the "product view" for that particular product. 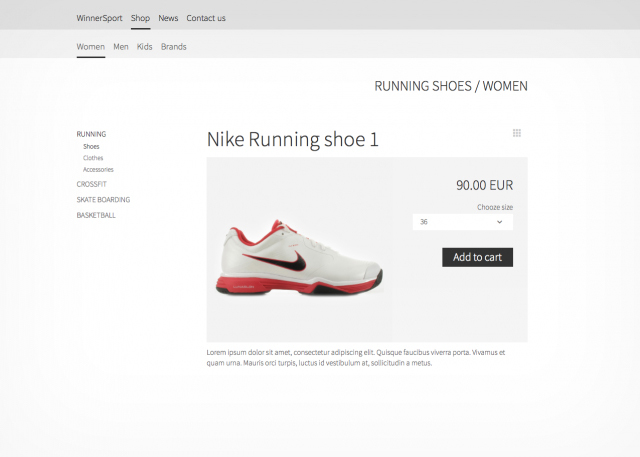 In the bottom image you can see the "product view" and in this particular example you can see how it looks with a product that has different variations, in this example it is the size of the shoe that you can choose in the drop down menu.